THE PORT HOTEL TEL-AVIV, located in a prime location, on the corner of HaYarkon St and Yirmiyahu St, 1 minute walk from the renewed Tel-Aviv Port and its numerous restaurants, clubs and cafés and only meters away from HaYarkon Park, the biggest park in Tel-Aviv. Whether you are travelling for business or leisure, our friendly staff will welcome you here and give you the best personal service and will assist you with anything you might need. You can use our complimentary, fully equip, Meeting Room or to go up and chill in our lovely Rooftop and its Sea view. 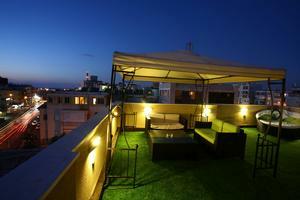 From here you can go anywhere using the vast public transportation options available nearby. Come and enjoy the best Tel-Aviv has to offer. We are waiting to welcome you here. THE PORT HOTEL TEL-AVIV. 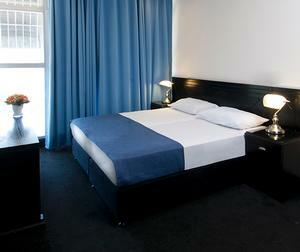 Each of our rooms features Comfortable bed, Working Desk, Free WiFi, A/C, Cable TV, Coffee / Tea, Mini-fridge and a Safe. 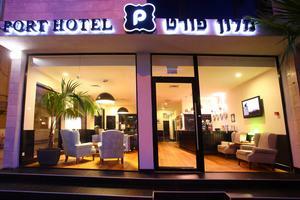 Port Hotel Tel-Aviv is ideally located just steps away from the renewed Port Zone and 5 minutes from the beach, at the corner of HaYaarkon and Yirmeyahu Streets. This location enables a perfect balance for those guests who are looking for new Tel Aviv dining experiences and a vibrant nightlife. "I LOVE this hotel I've now stayed three times in two years and the staff is great, friendly an..."